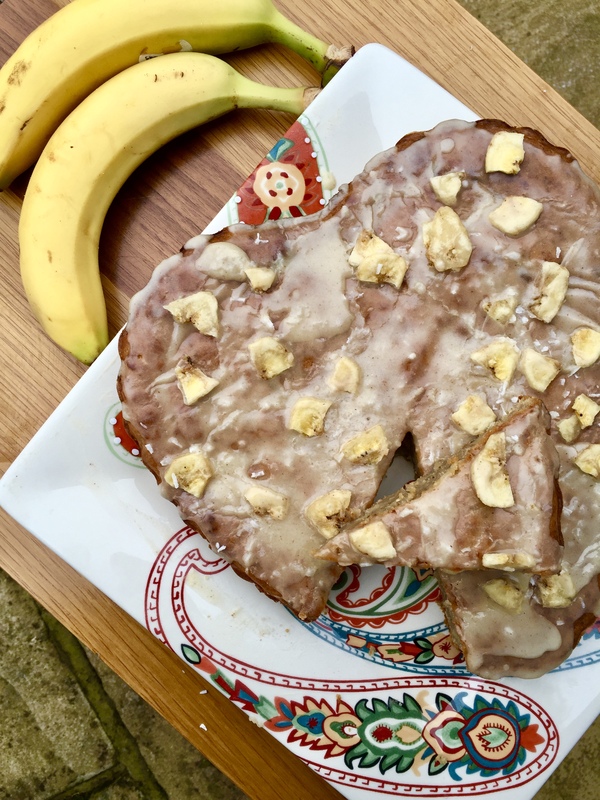 This Chia Banana Cake is the perfect treat for all those banana fans out there! Packed with Chia seeds it has a lovely crunch for some added texture, healthy fats and protein! We love bananas since they are a perfect snack- quick releasing energy to give you a bit of a kick in the morning but also packed with Potassium! Preheat oven to 350 degrees. Oil and line a medium sized cake tin. Sprinkle the flaxseed over 1/3 cup water. Let stand until slightly thickened, about 5 minutes. Stir to combine. In a large bowl, whisk together flour, sugar, baking soda, and salt. Stir in oil, almond milk, flaxseed mixture, bananas, and vanilla. Bake until a toothpick inserted in center comes out clean, 40 to 45 minutes. Let cake cool in pan 15 minutes. Remove cake from tin and let cool completely on a wire rack. Thank you for this recipe to Basil & Vogue!